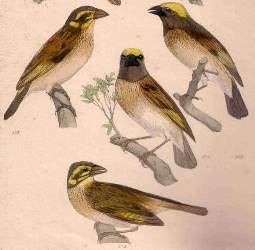 There are 5 Asian weaver species and they are all in the genus Ploceus. 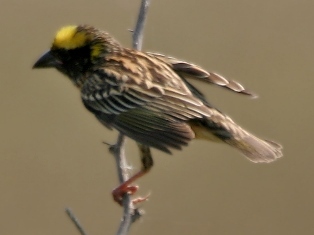 The Baya Weaver is the most widespread and common species. 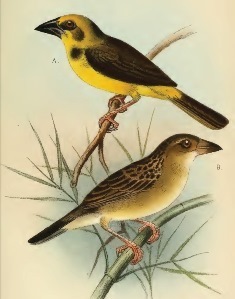 Two Asian weaver species have IUCN threat status as shown below. 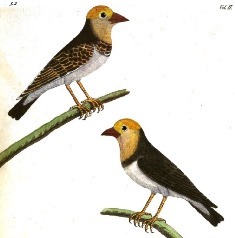 The Asian weavers are found in savanna, grassland and swampy areas - there are no Asian forest weaver species. 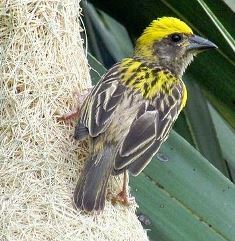 The Asian weavers feed on seeds, insects and sometimes nectar. 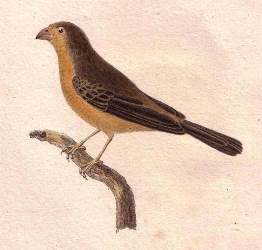 All five species lay plain white eggs. 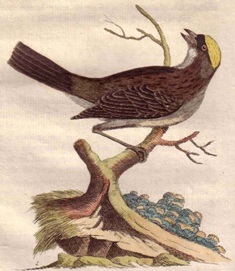 The 5 Asian weavers were described over 111 years, by 4 different authors, from 2 countries. 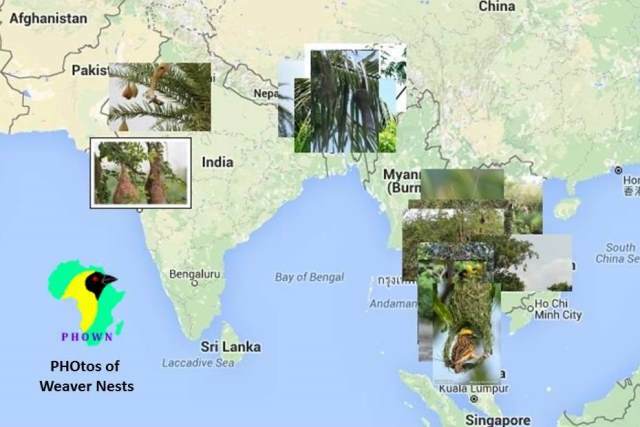 To read more about the discovery of each of these species, click on the name. 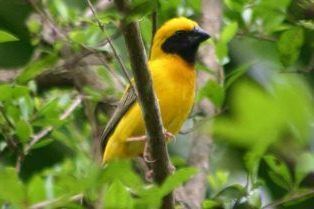 Many more records are needed to obtain better data on current breeding ranges, nest sites, and colony sizes of the Asian weavers. 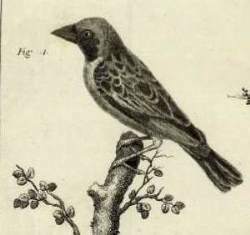 Please consider taking part in PHOWN - To take part, register and upload records at Virtual Museum (read the "How to" pdf for help).